DeJa10 Wedding Stationery Collective is an experienced design team who fuse precision, passion and quality. We understand that contemporary weddings deserve a clean-cut look with depth through elegance and boldness through simplicity. We also believe that the modernity of yesterday is the tradition of today, and the modernity of today will be tradition tomorrow. Hence our more traditional range caters to our customers who’s wedding celebration flares with character. It is often hard to capture the personality and boldness of a couple’s bond; however, our experienced team will find the path to designing a card which best suits you. Through customisation and the use of rich colours and elegant designs, we have what you are looking for. 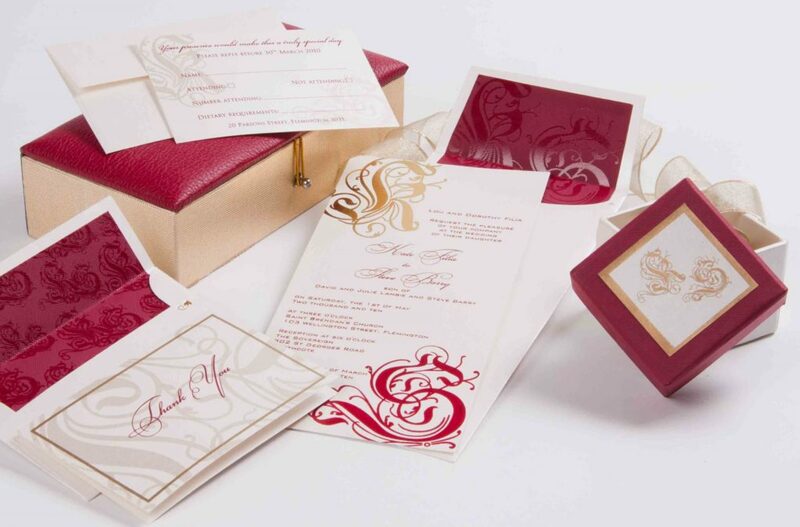 Our invites are filled with emotion and depth and require a team with profound experience in previous cultural weddings, the ability to listen to the intricate needs of the customer, and devotion to fulfilling all the components of the cards themselves, all skills which we value and hold strongly.